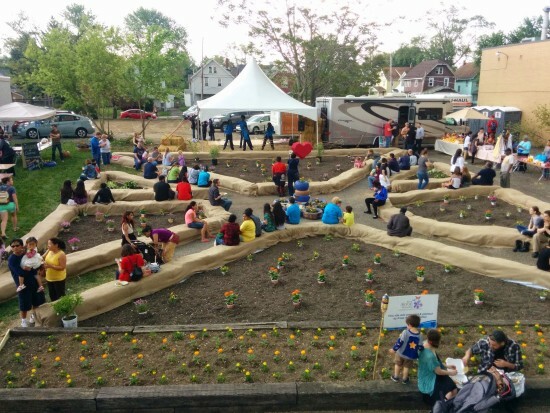 In over 100 projects, Team Better Block (TBB), the organization that works directly with cities to realize large-scale placemaking initiatives, helps make your great city even better. Now, thanks to a $775,000 grant from the John S. and James L. Knight Foundation, the Dallas-based organization will be better able to serve cities and the people who make them. The January grant, meted out in installments, allowed TBB to create the Better Block Foundation (BBF), a nonprofit arm of for-profit TBB. Founder Jason Roberts explained that the grant will help both entities grow and support each other mutually. 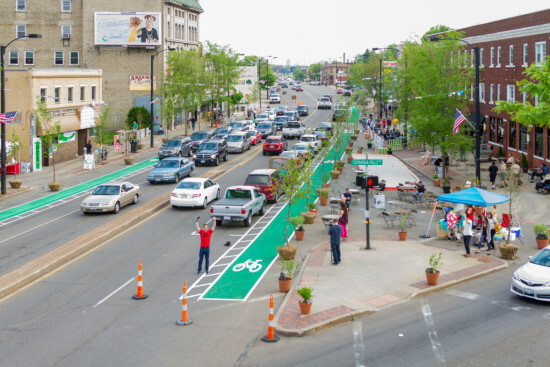 Roberts clarified that, while Better Block solutions like bike lane, plaza, and pop-up business recipes are “an open-source operating system, like Linux,” free and open for all to use, TBB installs Better Block solutions for a fee. He and co-founder Andrew Howard realized a need for the foundation when TBB went worldwide. “We didn’t have the bandwidth, so we needed the non-profit model. The nonprofit will help other folks do these things,” he told AN. Things like transforming underutilized spaces, building workforce capacity, and cultivating vacant land. The program is expanding its staff to include a managing director, architect, project manager, and creating an internship program. Howard will manage TBB, while Roberts, who enjoys research and development, is directing the foundation. This year, the BBF and TBB are planning the WikiBlocks project for the city of St. Paul. In collaboration with neighborhood groups, they’ll install parklets, flowerbeds, and cafe seating from cutout designs whose plans are free to download and assemble. TBB is teaming up with the digital fabrication studio at Kent State University to create the prototypes for the project: In about three months, the early models will be developed. 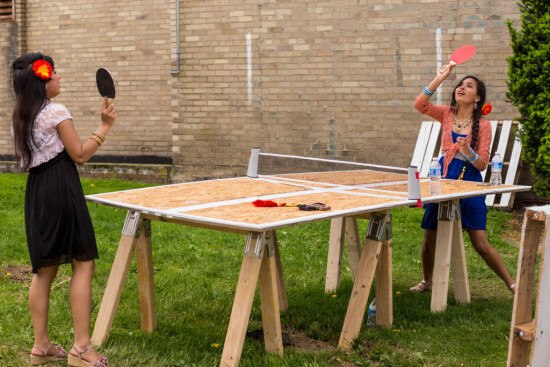 TBB knows how local culture manifests itself in and through the built environment, and that drawing on that ethos is key to building strong neighborhoods. 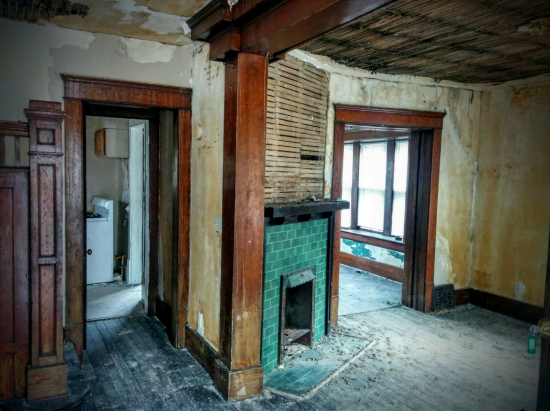 Right now, TBB is using one site to turn around a struggling neighborhood in Akron, Ohio, and posing the question in reverse: how could culture express itself in an individual house? Working with refugees from Bhutan, in collaboration with the International Institute, the Bhutan Cultural Association, and a Community Development Corporation (CDC) in Akron, the team is transforming a dilapidated house in the North Hill neighborhood into The Exchange House, an Airbnb youth hostel managed by the émigrés. Refugees sponsored by the State Department are indebted to the government: refugees have to pay back their plane ticket. Consequently, they’re expected to find work, but language and cultural barriers can make that difficult. Running the hostel will provide an opportunity for cultural exchange, help refugees earn money, and build English language skills, as well as revitalize a neighborhood that has excess housing and infrastructural capacity. The partners hope to “stamp North Hill as an international neighborhood.” There’s 11 months left on the project, and demolition on the interior is progressing apace. Sai Sinbondit (of Cleveland-based Bialosky + Partners Architects) is the lead architect. A market, garden, and community resource center will round out the hostel’s program.